Perennial. Zone 2. Compositae. The species is from Russia’s Kamchatka Peninsula. This improved selection is of garden origin. I proceeded to acquire and grow this interesting Yarrow, and while it wasn’t anything close to being a traffic stopper, it did have a quiet charm that turned me into a sincere admirer. I have grown it ever since. 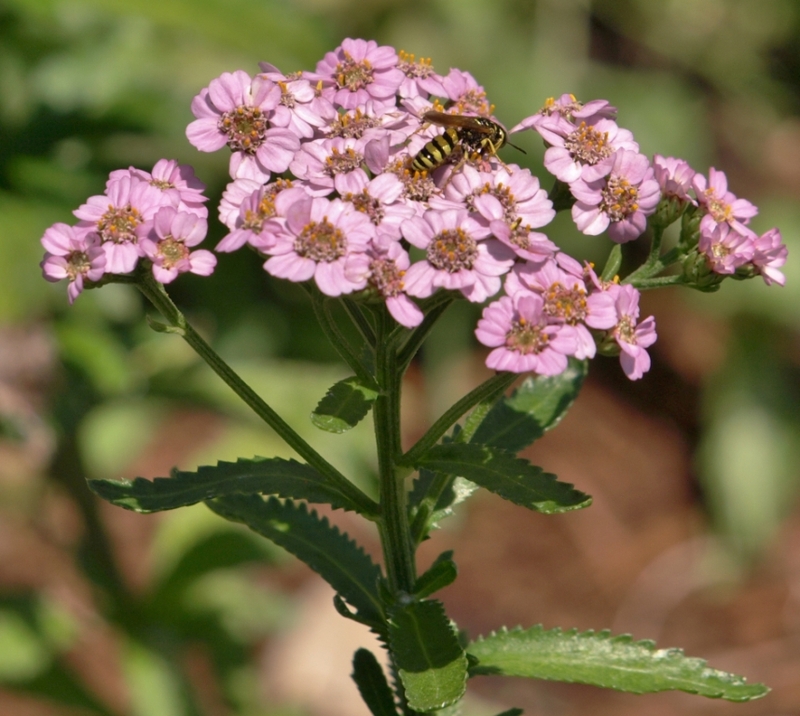 Clusters of large – for an Achillea – pastel pink, pale yellow-centered flowers top sturdy 18-24” stems during a long bloom time, from June to September. The blooms are darkest when they first open, fading to a paler pink and eventually white as the clusters age. Good cutflower. It makes a rather loose clump, and expands itself by short underground runners, but it is not at all uncontrollable, being easily nipped back if required. The saw-toothed foliage is a glossy deep green, rather fleshy and brittle, and attractive throughout the growing season. ‘Love Parade’ seems to have settled down into being something of a standard variety, which is generally a good recommendation of garden merit. Sun to part shade; average soil. Very easy from seed, and can be divided once plants reach a large enough size to take splitting.